A high quality travel game presented in a handy sized case making it easy to carry. "Who Is It?" 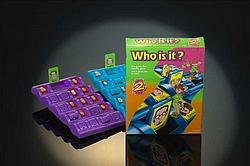 is a classic guess the identity game that's great fun to play and ideal for kids on the move.